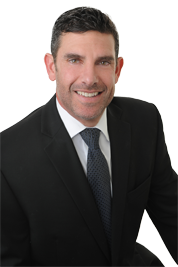 Jeff Wolter was born and raised in Southern California (Laguna Niguel, CA) and has recently joined forces, full time, with his brother, at the Tim Wolter Real Estate Group. Jeff attended UC Berkeley where he graduated with a double major in Economics and Political Science. Jeff brings a wealth of knowledge with a 10 year history in the local mortgage industry where he worked as a mortgage broker and loan officer with the majority of our clients being in Ladera Ranch, Laguna Niguel, Dana Point, Mission Viejo, San Clemente and Orange County. Jeff’s skills are client focused and he is at his best working with people and negotiating contracts. Jeff will continue to offer mortgage services and advice too. Jeff recently just moved to Ladera Ranch with his wife of 12 years, Iran Wolter and their children, Xcaret 9, Zoe 4, and little Ethan who is nearly 1 year old.